The classic third album from Jeffrey Lewis, originally released on CD by Rough Trade Records in 2005, appearing on vinyl for the first time, fully remastered and with bonus material inserts! 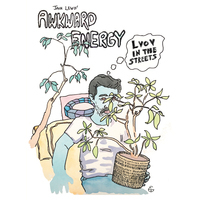 Produced by NYC indie-rock mad genius Kramer (Galaxie 500, Daniel Johnston, Low) this album, the first studio production in the Jeffrey Lewis discography, established Jeffrey Lewis (and his co-credited brother Jack) as an undeniable force to be reckoned with. 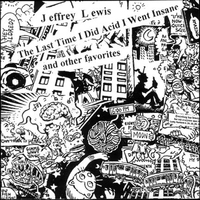 The perfect mash-up between Jeffrey’s previous lo-fi songwriting efforts and later full-band releases, this album features all-time fan-favourite tracks like Don’t Be Upset and Anxiety Attack. Not to mention the jaw-dropping shaggy-dog Williamsburg Will Oldham Horror, the closest thing the 21st Century hipster generation has ever had to boasting their own generation-defining Alice’s Restaurant Massacre. 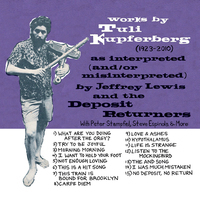 The rock songs rock and the folk songs dazzle. LP – Black Vinyl with 4 page artwork / lyric sheet and additional replica insert of original Williamsburg Will Oldham Horror lyric Scrawl and Download code for album and 5 bonus tracks. 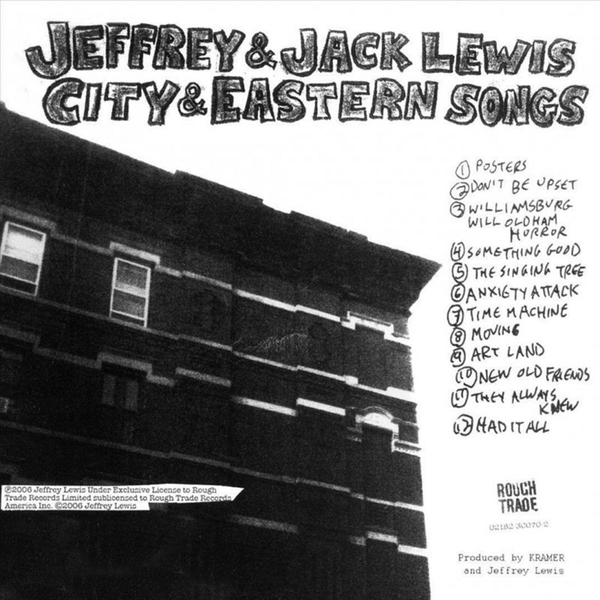 Produced by Kramer with Jeffrey Lewis. John Kessel on some additional bass and guitar. 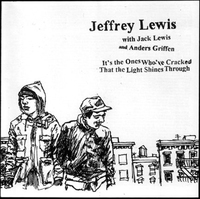 Recorded at Tribeca Studios in NYC (Feb 20-24, 2005) and at Virginia's apartment in NYC (Feb 25-27, 2005).